We deliver so you can. That’s our mission. We’re the statewide trade association for commercial truck and bus operators, and affiliated businesses. We deliver the essential knowledge, contacts, services, political representation and partnerships that help our members continue to deliver the goods to Nebraska communities and throughout North America. We are affiliated with the American Trucking Associations (ATA). ATA serves and represents the trucking industry on a national level, just as each state trucking association does on a state level. ATA influences federal and state government actions, advances a positive trucking industry image, provides educational programs and industry research, and promotes highway safety and security. 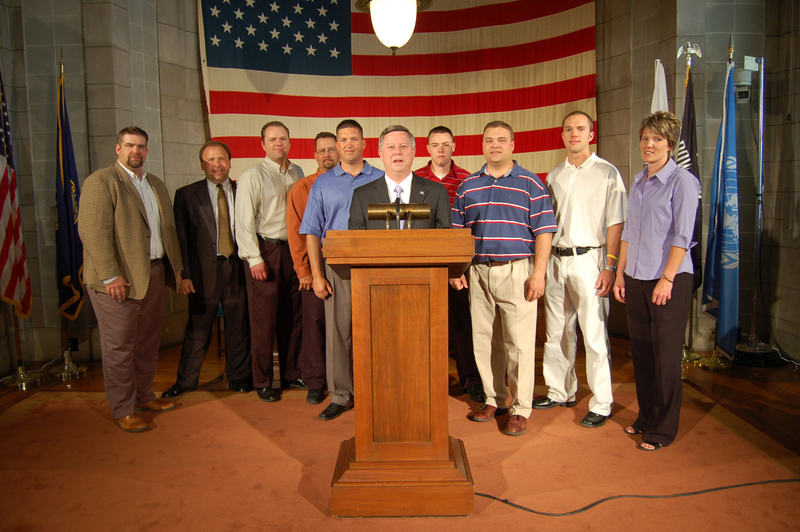 Join truckers from across Nebraska supporting a strong voice for your business interests. Regardless the size of your fleet, membership is a good fit for your business. Where else will your voice be heard when it comes to issues important to trucking? Join industry leaders working together to guide legislation and share best practices for safety and profitability. You’ll get useful information, important services and effective advocacy. 2000s – We establish a leadership development program to groom young industry executives for future roles in association activities, including interacting with politicians. Advocacy remains a major reason for the association to exist. 1931- The forefathers of the Nebraska Tucking Association, then called the Nebraska Motor Transport Association. We have been in business since 1940 when Nebraska Motor Carriers Association (NMCA) and another small trucking association merged. 1970s – We establish Truck Services, Inc., a for-profit service bureau for licensing, registration, permits and fuel tax reporting services. The Safety Management Council and the Driver of the Month programs begin. If you are hoping to hire a Nebraska-based carrier, please contact us. We can give you complete contact information based on your equipment need (dry van, reefer, flatbed, tanker, livestock, grain, heavy hauler, household goods, dump and pup). Prefer the phone or have more questions? Call us 402-476-8504, ext. 109.